A true ‘Second vin’ of Ornellaia, Le Serre Nuove dell’Ornellaia was first introduced with vintage 1997, resulting from the decision to carry out an even more rigid selection during the blending phase of the base wines which give life to Ornellaia. Produced primarily from the younger vineyards, the wine combines the pedigree of the flagship wine with freshness, accessibility and softness together with a structure, balance and intensity typical of the great terroir of the Estate. The 2010 growing season will be remembered for being one of the latest in recent years. From budbreak on, in fact, the growth stages were some 10 days behind normal, and that slow pace continued through to the harvest. A rainy spring was followed by a hot, dry Summer, which favoured optimal development of the clusters. A few rain showers interrupted the harvest in September, but adequate dry, sunny periods allowed the fruit to fully ripen. Painstaking vineyard management, and careful leaf-pulling in particular, ensured that the grapes were sound and healthy. Cool nights encouraged fine development of aromatic compounds, with the grapes displaying remarkably crisp fruit and floral qualities. Picking began in mid-September and concluded on 12 October with the late-ripening varieties. The grapes were handpicked into 15 kg baskets. The bunches were graded and selected by hand on a double sorting table, before and after destemming, and finally soft-pressed. Each varietal and single vineyard block was vinified separately. Alcoholic fermentation took place in stainless steel tanks at temperatures between 26° C and 30° C for one week, followed by 10 days of maceration on the skins. The malolactic fermentation, which began in the steel tanks, was completed after the wine was racked into barriques (25% new and 75% a year old). The wine remained in barriques in Ornellaia’s temperature-controlled cellars for about 15 months. After the first 12 months the wine was assembled, and then returned to the barriques for an additional 3 months of aging. After bottling, the wine aged a further 6 months prior to release. 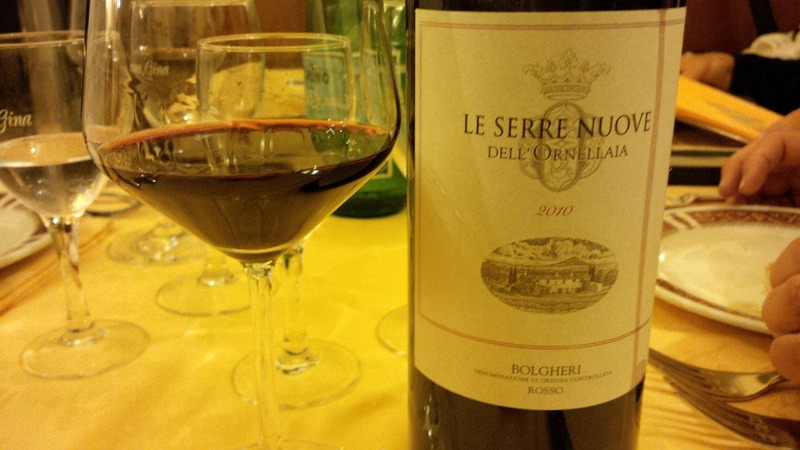 “From a growing season that was among the coolest and most late-ripening in recent years, Le Serre Nuove dell’Ornellaia 2010 exhibits truly stunning aromatics. A vigorous Cabernet Sauvignon and a fruit-rich, lusciously-rounded Merlot compose a balanced cuvée marked by fragrant tobacco leaf, intense fruit notes and spices. The palate is firmly-structured and complex, with silky tannins and remarkable aromatic richness, and the progression concludes in a long, firm finish.